These brass alloy models look and sound great, and let you get into playing Meinl at very realistic prices. 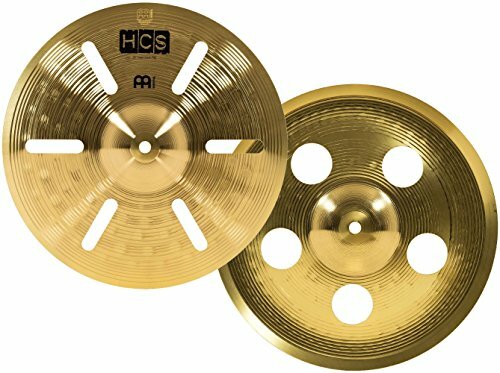 We specialize in crafting cymbals from many types of metal, which is why you can play all types of pop or rock with hcs and your sound will be warm. We believe every drummer should play cymbals they feel good about. The 12-inch HCS trash stack pair is equipped with specially cut holes that boost trashiness and bite. This stack delivers a fast and aggressive sound with a short sustain that’s great for Crash riding and colorful accents. If you have any questions about this product by Meinl Cymbals, contact us by completing and submitting the form below. If you are looking for a specif part number, please include it with your message.